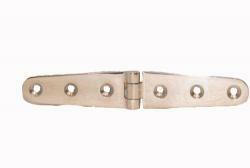 Stainless 316 Steel Boat Marine Door Hatch Compartment Strap Hinge 6" x 1"
This is our 316 Stainless Steel Hinge. These are sold as single units. 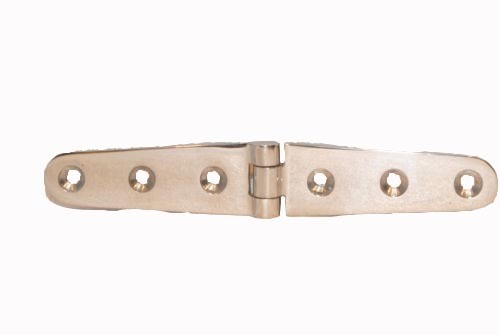 These hinges are typically used in the marine industry for lids, hatches, compartments, and doors. They have a range of about 270 degrees. The dimensions are 6” length, 1” wide, Center to center of the mounting holes is 1" apart. Hinge mount plates are 3/16" thick.